I’m back, and on YouTube! 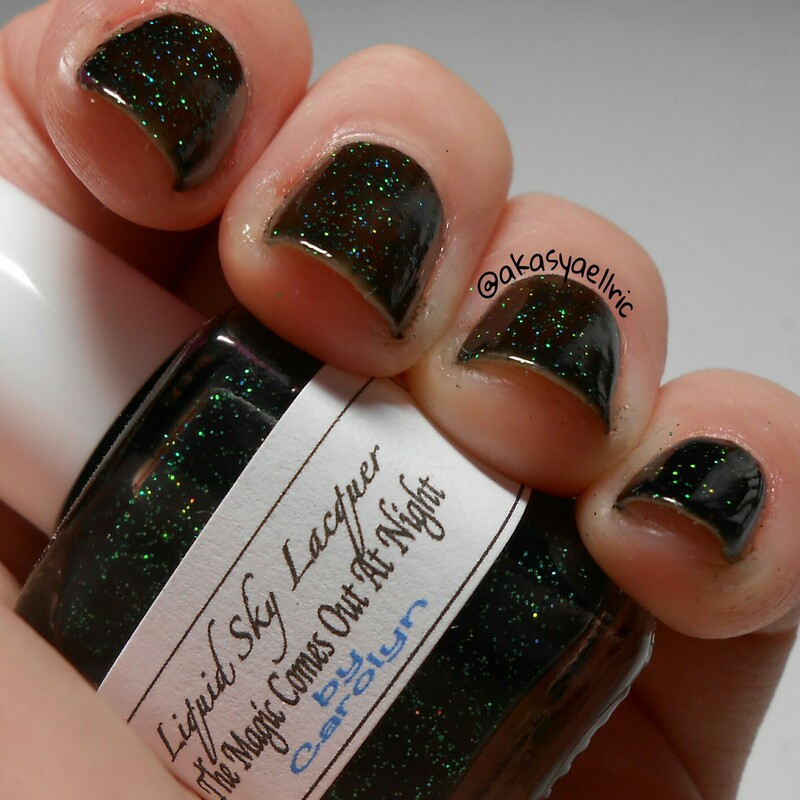 Today I have the beautiful new set from Liquid Sky Lacquer, What Happens In Vegas Ends Up On Instagram and the single release Yasss! They are releasing this Saturday, April 18 at 2 pm est. 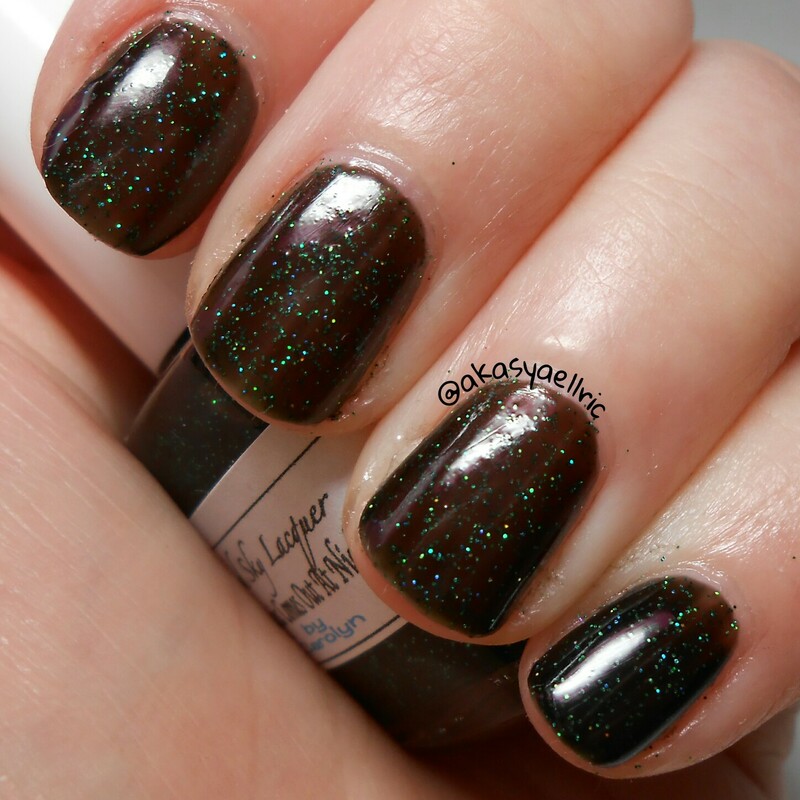 All polishes were a dream to apply and opaque in 2-3 coats. All but Yasss! dried incredibly fast, but it was more of a normal dry time than slow. 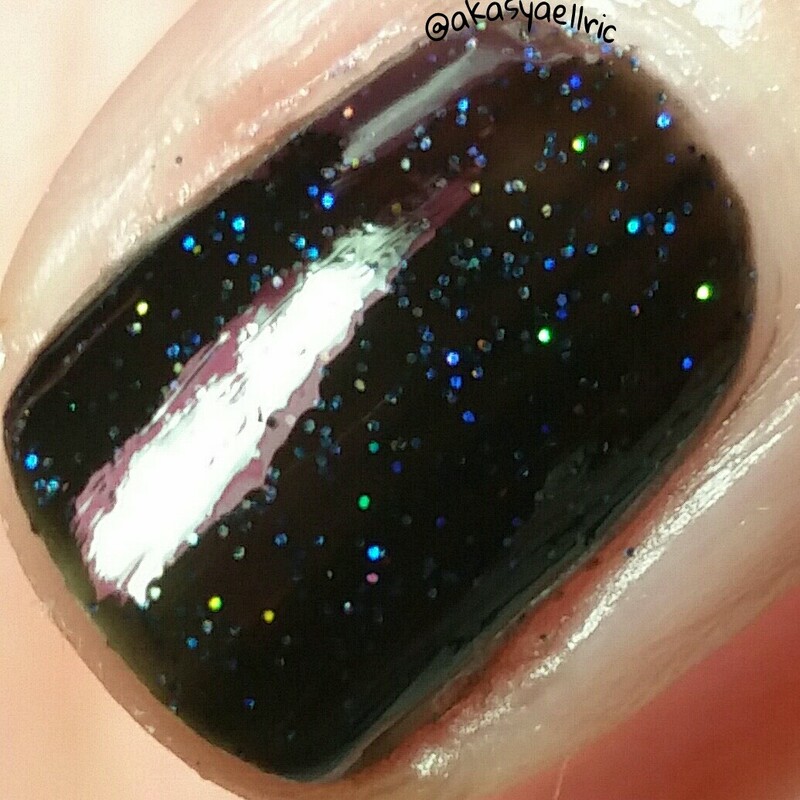 First up is the strip, a black jelly with blue glitter. 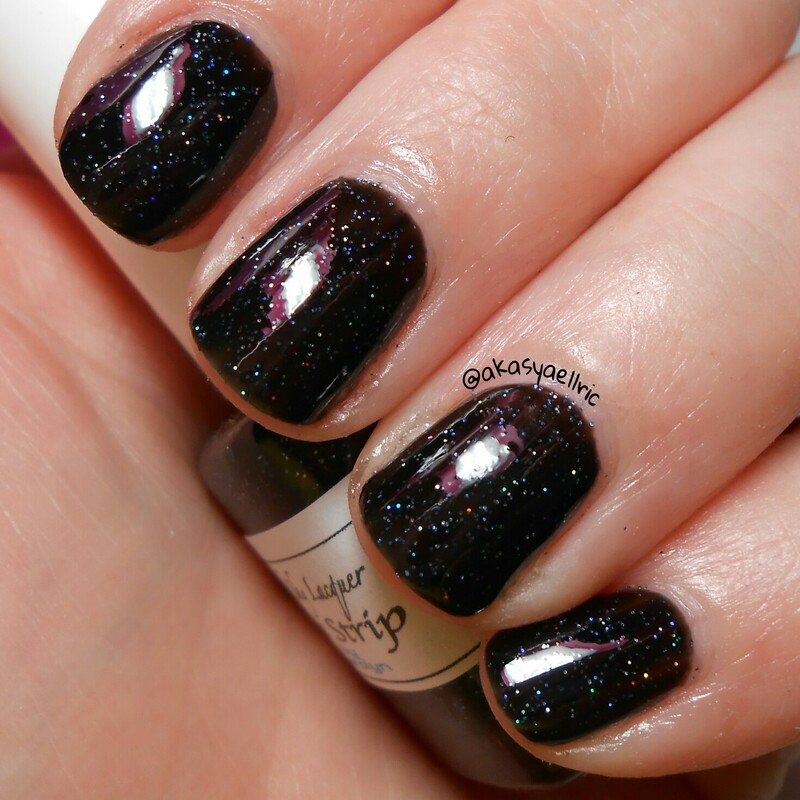 Products used: Dainty Digits Polish Glitter Be Gone basecoat, Liquid Sky Lacquer The Strip, I, A.M CustomColor DiamondPRO topcoat. 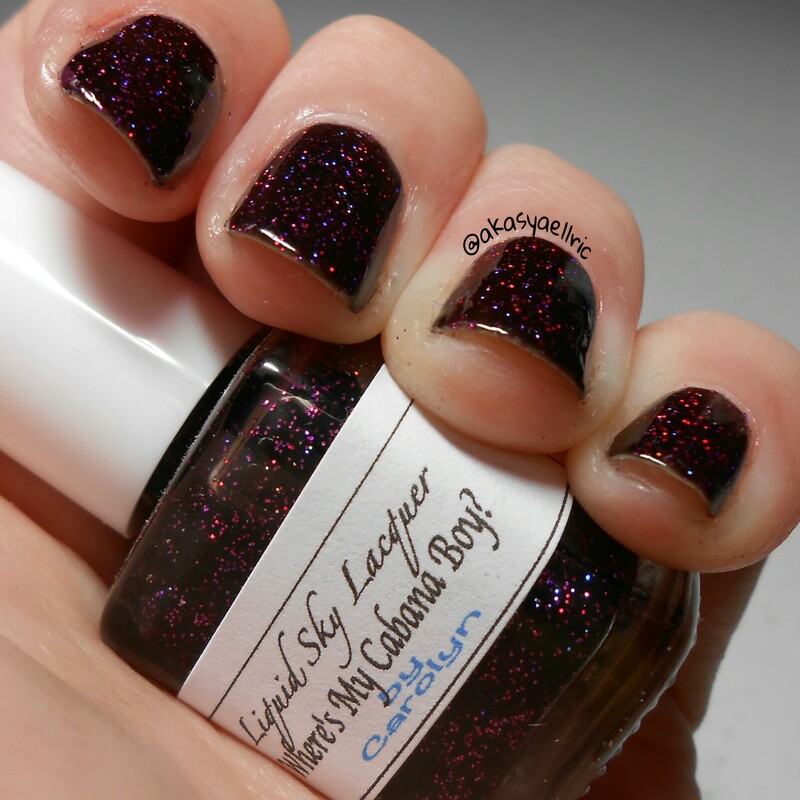 This beauty is Where’s My Cabana Boy?, a black jelly with purple and red glitters. 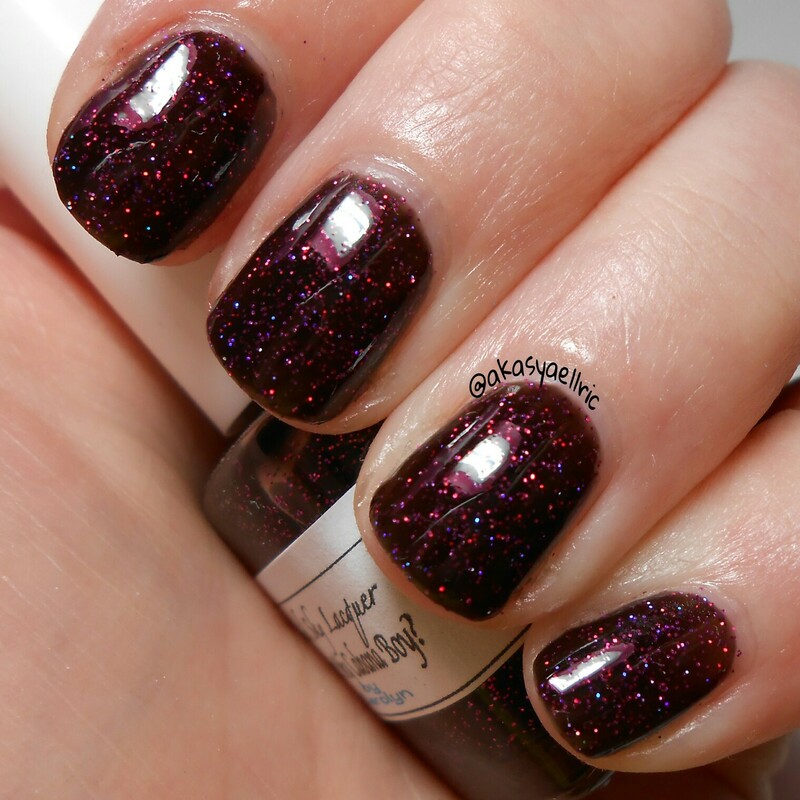 In certain light, as you can see, the jelly looks almost burgandy. 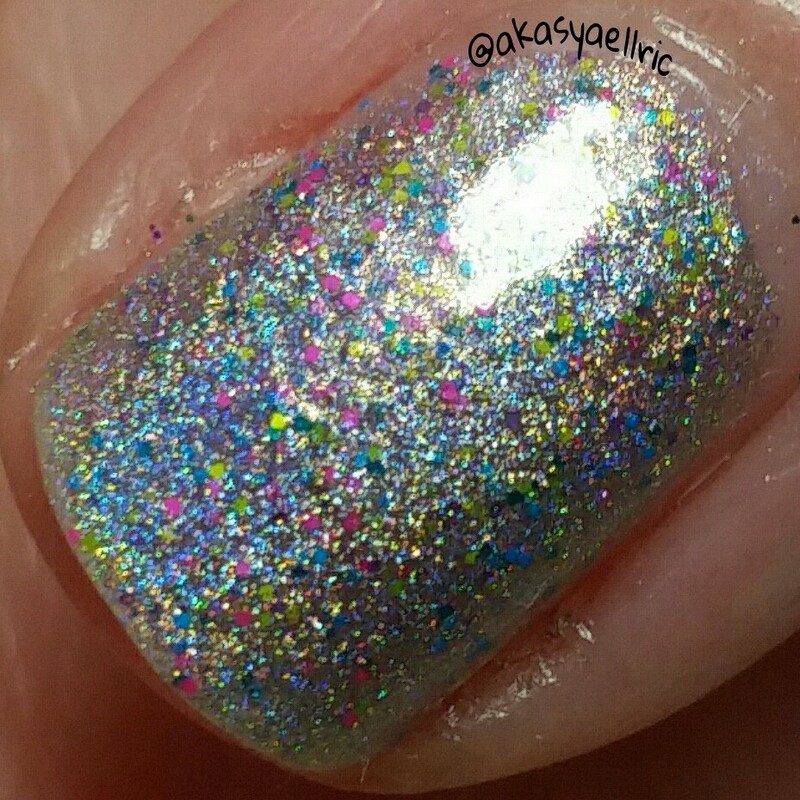 Products used: Dainty Digits Polish Glitter Be Gone basecoat, Liquid Sky Lacquer Where’s My Cabana Boy?, I, A.M CustomColor DiamondPRO topcoat. 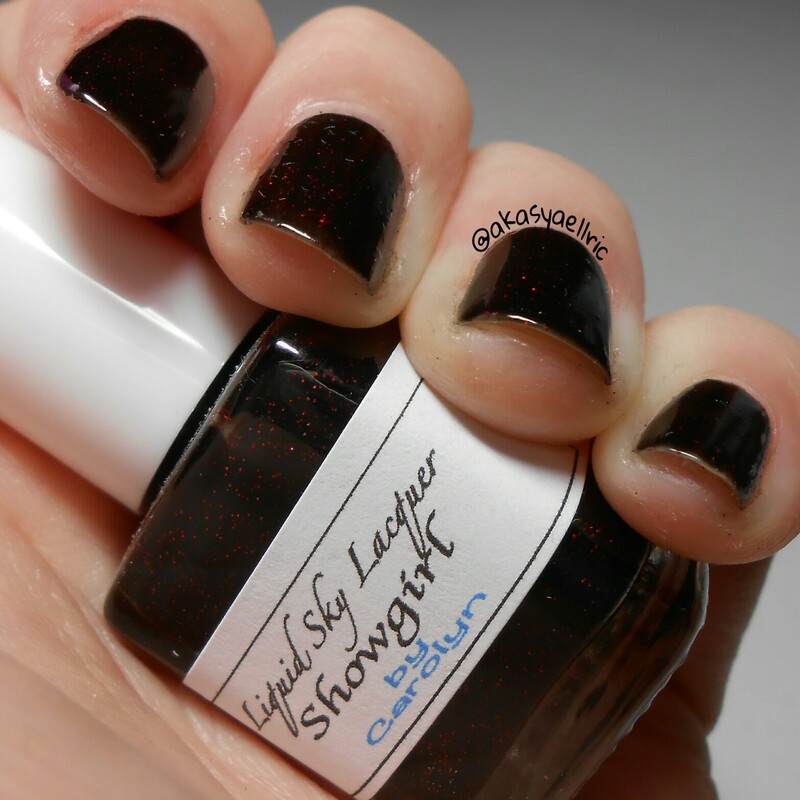 Next up is Showgirl, a black jelly with red glitter. A real show stopper. 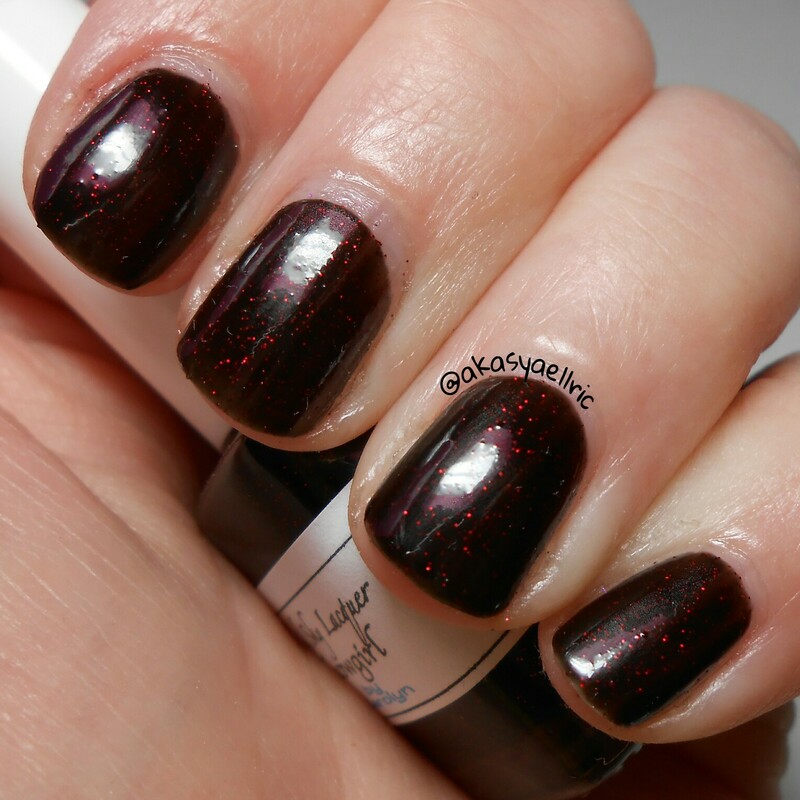 Products used: Dainty Digits Polish Glitter Be Gone basecoat, Liquid Sky Lacquer Showgirl, I, A.M CustomColor DiamondPRO topcoat. 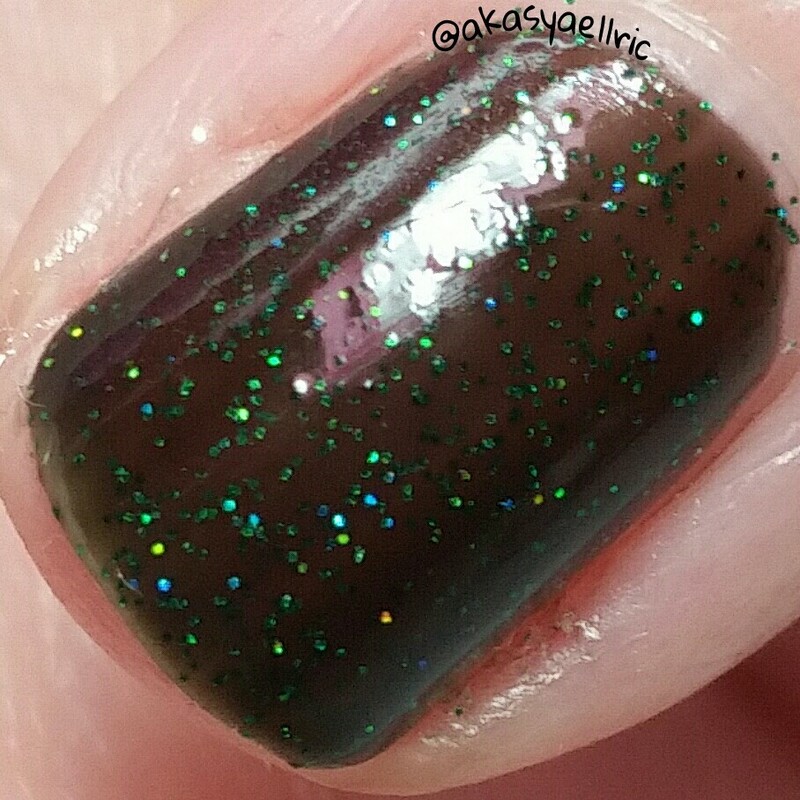 The final one in the set is The Magic Comes Out At Night, another black jelly, but with green glitter that has a blue shift. 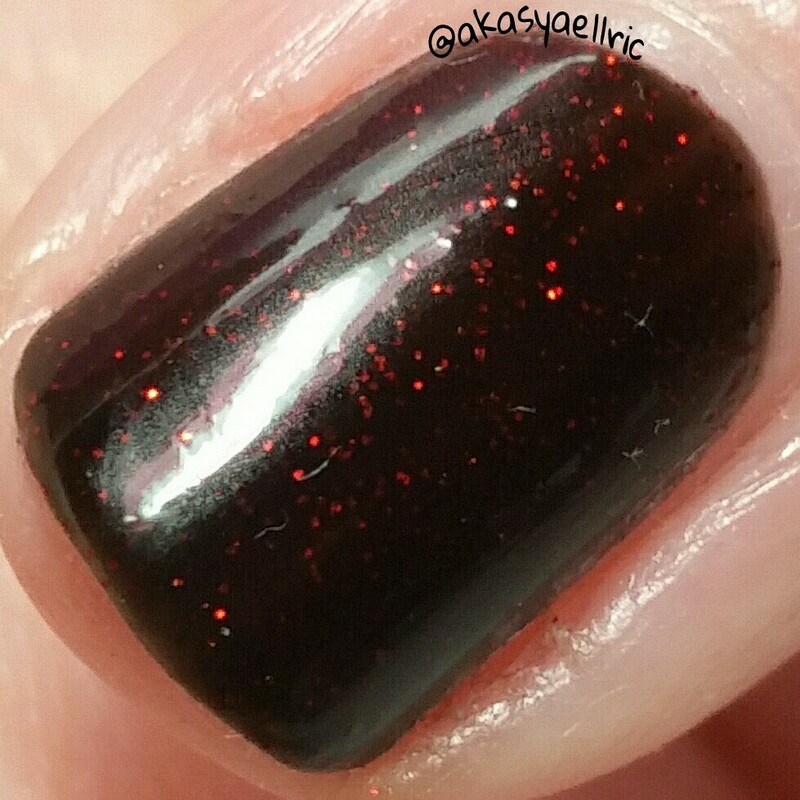 Products used: Dainty Digits Polish Glitter Be Gone basecoat, Liquid Sky Lacquer The Magic Comes Out At Night, I, A.M CustomColor DiamondPRO topcoat. 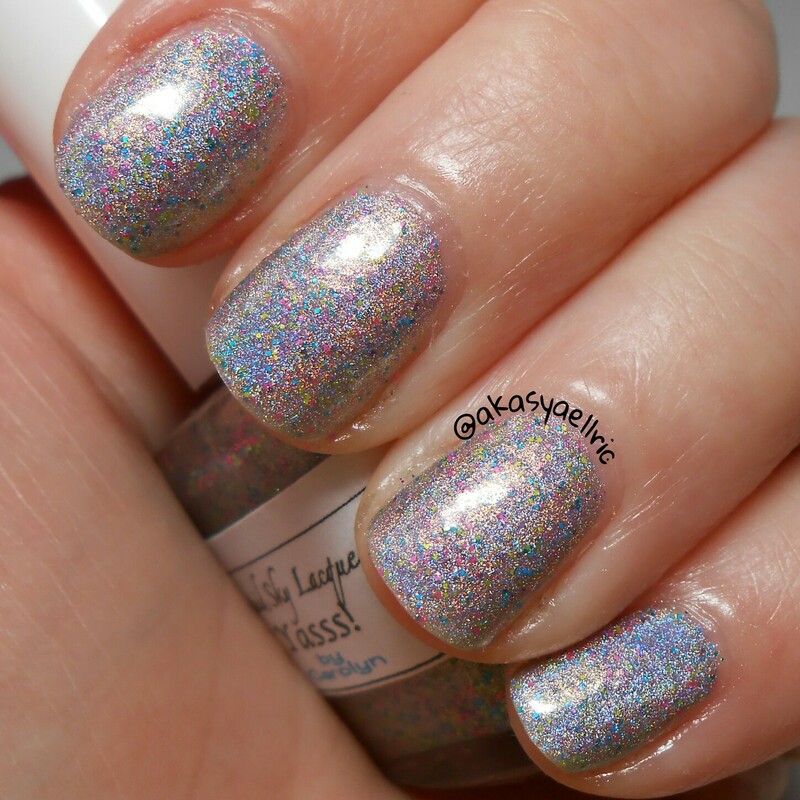 Finally I have Yasss!, a holo polish with tiny neon glitters. I adore this one and I know I’ll be wearing it a lot over the summer. 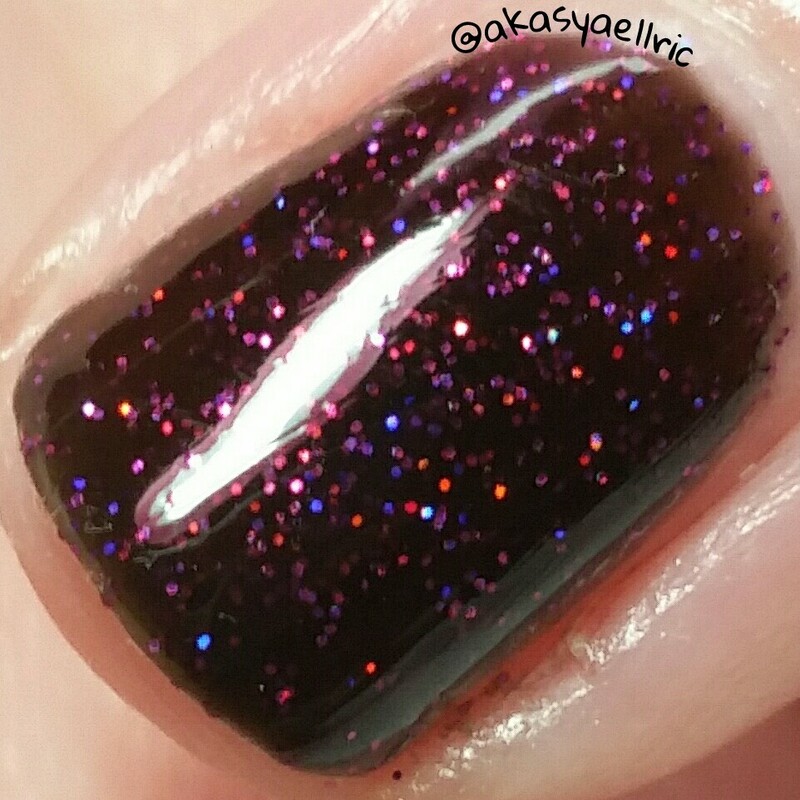 Products used: Dainty Digits Polish Glitter Be Gone basecoat, Liquid Sky Lacquer Yasss!, I, A.M CustomColor DiamondPRO topcoat.